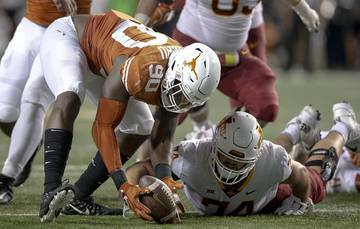 This weekend, Charlie Strong’s Longhorns will try to achieve something a Texas football team has accomplished only once — beat Notre Dame in South Bend. The faint echoes they’ll try to wake up there stretch way back to 1934, a game that stunned sports fans and thrust Texas football onto a national stage. That 7-6 triumph for the Longhorns was engineered by a coach who not only was a former Notre Dame player, but also the Fighting Irish’s celebrated running back who had “won one for the Gipper” by scoring a touchdown against Army in 1928, after Knute Rockne’s legendary halftime speech. Hand out photo of Jack Chevigny, UT football coach in 1934. CREDIT: University of Texas. Received 06/18/09 for UT Pep Talk. Jack Chevigny has the ignominious distinction of being the only Texas football coach to have a career losing record to show for his stay in Austin. Yet, 70 years after his death on an Iwo Jima beach, Chevigny remains perhaps the most charismatic, colorful, flawed and enigmatic football coach in Texas history. Among other things, he inspired a story that persists to this day, that a pen he reportedly received for leading Texas over Notre Dame was at the actual signing of Japan’s surrender in World War II — in the hands of a Japanese envoy. 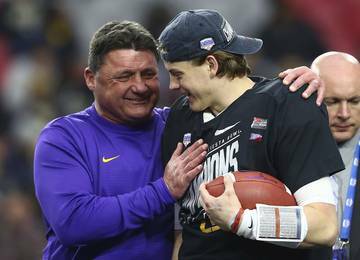 “I felt as a coach that we’re more than our records,” said Jeff Walker, the author of the 2012 book “The Last Chalkline: The Life and Times of Jack Chevigny” and himself an assistant coach at La Marque High School. Sometime around 2001, Walker read a short UT bio that seemed to focus mostly on Chevigny’s losing record. He spent the next decade digging and trying to sort through the coach’s colorful — and sometimes embellished — history. Chevigny’s celebrity began, in large part, because he was in the right place at the right time. On Nov. 10, 1928, the ruggedly handsome senior halfback from Hammond, Ind. was in Notre Dame’s locker room at Yankee Stadium, where Rockne gave his Irish the legendary exhortation to win one for the Gipper — former Notre Dame star George Gipp, one of the school’s first All-Americans who had died eight years earlier. Rockne’s Irish stormed onto the field, but it was Army that scored first in the second half. Chevigny then answered with a 1-yard plunge on fourth down, announcing “That’s one for the Gipper!” as he plowed into the end zone. Or so legend has it. Chevigny’s storied quote has never been confirmed, not even by Walker, but Notre Dame did go on to win 12-6 in a contest for the ages. “He had a lot of glory at a very young age,” Walker said. Once his playing days were over, Chevigny latched on as an assistant with the Irish. He might have eventually succeeded Rockne in South Bend. But Rockne never had the chance to retire or pick a replacement; he was killed in a plane crash in 1931. Former Notre Dame star Jack Chevigny, who scored the winning touchdown in the Irish’s famous 1928 “Win one for the Gipper” game against Army, later became Texas’ head football coach. After Rockne’s death, Chevigny shared coaching duties with another Rockne aide, Hunk Anderson. But the pairing was a bad fit. After one cantankerous season, Chevigny resigned. He coached a pro team, the cash-strapped Chicago Cardinals, the next season and then, through his Notre Dame connections, landed the head coaching job at St. Edward’s in Austin in 1933. Chevigny made quite a splash at St. Edward’s, energizing the Hilltoppers’ football team and fan base. 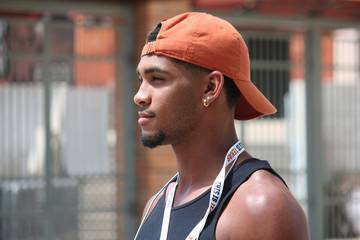 His success there was noticed by UT boosters, some of whom Chevigny had invited out to a St. Edward’s practice late in the season. 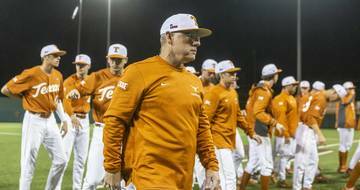 UT boosters and fans had just as little patience then with their coaches as they do now. At UT, the school’s best-ever all-around athlete, Clyde Littlefield, was in his seventh season coaching football. 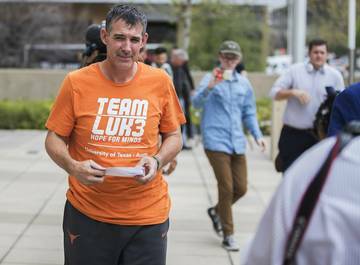 No other Longhorns coach, no matter how successful, had lasted more than five before him. When Littlefield suffered his first losing season — 4-5-2 in 1933 — the typically messy process of replacing a football coach had already been put in motion. Powerful UT regent Lutcher Stark later acknowledged contacting prospective candidates before Littlefield had even resigned. 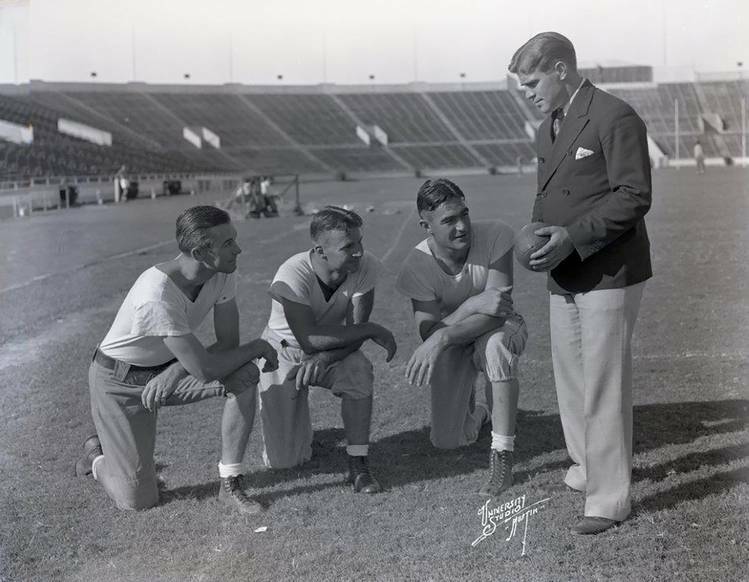 (Littlefield remained as UT’s track coach through 1961). 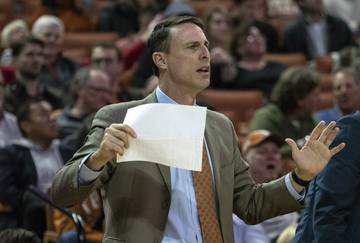 But for perhaps the last time, money restricted Texas from its coaching search. Chevigny received a one-year contract that was worth less than $5,000. The hiring of a Notre Dame man, particularly a famous one, had an allure for Texas and the Southwest Conference, at the time something of a football backwater. And although Chevigny inherited UT’s first losing team, the cupboard wasn’t completely bare. The key returning Longhorn was running back Bohn Hilliard, one of the most elusive runners Texas has ever had. Hilliard led Texas to a win in the 1934 opener against Texas Tech, one week before the Longhorns’ trip to South Bend. But Hilliard collapsed after a 94-yard touchdown run and didn’t return to the game. But was it because Texas didn’t need him or because he was injured, perhaps even for the Notre Dame game? In 1934, Notre Dame still have the name, if not the players, that it enjoyed during Rockne’s reign. Three years of Hunk Anderson had been enough, and the Irish were now coached by Elmer Layden — one of the school’s storied Four Horsemen — to revive their fortunes. Chevigny, naturally, wanted to prove that Notre Dame had chosen the wrong man. In the buildup to the game, the Horns staged a pep rally in Gregory Gym, where an estimated 6,000 students and fans squeezed in. 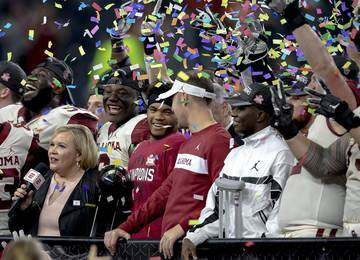 “On to Notre Dame!” was the closing cheer. And in South Bend, before the big game, Chevigny gave a rousing, if not memorable, talk to his team. 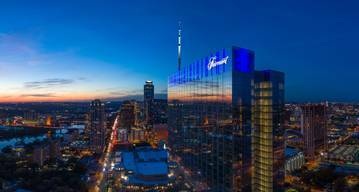 “Like Rockne’s Gipper speech, numerous accounts differed as to the facts of what was said. Like Rockne’s Gipper speech, it didn’t really matter what was said,” Walker wrote. Chevigny convinced his players that they would have an opportunity very early. Just as he had predicted, Notre Dame fumbled the opening kickoff. 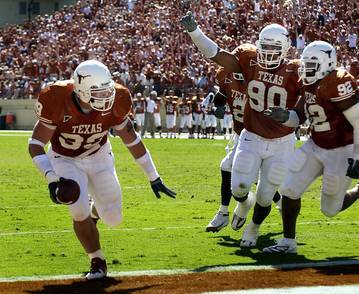 Texas’ Jack Gray recovered at the 14-yard line. A few plays later, a healthy Hilliard was escorted by his linemen on an 8-yard touchdown run that also produced one of the most iconic images in UT’s history. Hilliard added the extra point, and the Longhorns made that one score stand up for the rest of the day. Texas’ 7-6 upset was noticed around the country. 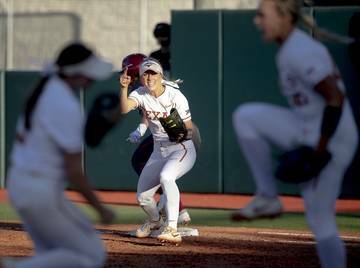 Finally, the Longhorns were more than a regional power. The Longhorns went 7-2-1 that season. Chevigny was rewarded with a new car, a LaSalle. Those were the days for Chevigny, but they didn’t last long. In the following seasons, his Texas teams slipped to 4-6 and 2-6-1. Chevigny never found a replacement for Hilliard after the 1934 season, and he mystified and angered fans by turning his back on Texas high school talent to instead recruit unsuccessfully in the Midwest. He also was known to run up gambling debts while running with a high-rolling crowd of ranchers and oil men, Walker said. While Chevigny was still at UT, Nebraska’s D.X. Bible received some unofficial feelers from UT regents. He eventually was hired as Chevigny’s replacement. Chevigny’s path led away from football. A decade later, he found himself on a beach with the U.S. invasion force at Iwo Jima, where he was killed by enemy fire. Walker, however, said there is absolutely no evidence or family recollections that such a pen ever existed, let alone that it was aboard the USS Missouri on that historic day. Still, it made for a good story, and that was part of what drew Walker into spending so much time researching Chevigny in the first place.